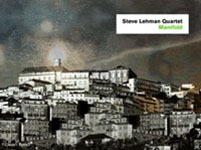 Saxophonist Steve Lehman is a Fulbright scholar and former student of legendary saxophonists Jackie McLean and Anthony Braxton. His recent collaborations with pianist Vijay Iyer and guitarist Liberty Ellman have found him further expanding the intricate polyrhythms and asymmetrical structures that define the M- Base aesthetic. Incorporating the angular polyphony of Braxton's concepts with the advanced rhythmic foundation of his peers, Lehman offers a refreshing slant on contemporary traditions. Closer in spirit to his highly regarded quintet debut, Artificial Light (Fresh Sound, 2004), On Meaning eschews the electro-acoustic forays into sampling loops and studio manipulation found on his previous release, Demian As Post-Human (Pi Recordings, 2005). 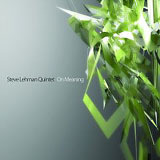 Returning to the acoustic quintet format, Lehman is once again joined by veteran bassist Drew Gress and vibraphonist Chris Dingman, both featured on his debut. Frequent collaborator drummer Tyshawn Sorey (a member of the trio Fieldwork with Lehman and Vijay Iyer) and trumpeter Jonathan Finlayson round out the ensemble. 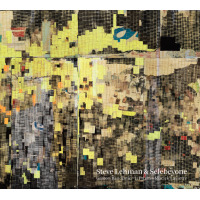 Lehman's writing is dense and intricate, weaving thorny microtonal harmonies ripe with interlocking counterpoint into fluid rhythmic cells driven by metric modulation. Despite their profuse nature, these pieces never sound overly academic, as the quintet imparts a human element to these labyrinthine compositions, executing them with vigor, lending even the most circuitous sections a sense of soulful verve. Recalling the New Thing-era aesthetics of Eric Dolphy, Bobby Hutcherson, Jackie McLean and Grachan Moncur III, Lehman's quintet evinces a futuristic variation on Blue Note's more exploratory releases of the late 1960s. The enigmatic "Haiku d'Etat Transcription" and expansive title track are prime examples of Lehman's concept, vacillating wildly between accelerating tempos and acerbic textures. The session's lone meditation, the cinematic miniature "Great Plains of Algiers" blends exotic ambience with haunting minimalism. 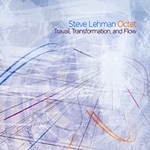 Lehman uses myriad facets of the saxophone vocabulary, incorporating multiphonics, extended techniques, microtones and all manner of bent timbres and tones into his rapid-fire, circuitous phraseology. Finlayson is a stalwart foil; lyrical and vivacious, he trades punchy, euphonious lines with Lehman on "Analog Moment," burning white hot on the spiraling coda of "Curse Fraction." Drew Gress' sinewy bass patterns provide an unwavering anchor for the group, while Dingham's mellifluous vibes lend an ethereal quality to the session, tempering the propulsive onslaught of Sorey's kinetic drum 'n' bass inspired palpitations. Sorey's uncanny knack for sub-dividing beats and blending cross-rhythms provides the volatile fuel for this fiery ensemble. Clocking in at a brisk 45 minutes, the sheer concentration of musical ideas justifies the album's abbreviated run-time. 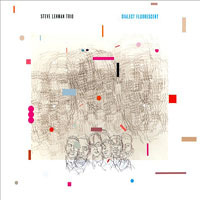 With On Meaning, Lehman has established himself as heir apparent to Greg Osby and Steve Coleman's legacy, advancing their innovations into the future. Track Listing: Analog Moment; Open Music; Haiku d'Etat Transcription; Curse Fraction; Check This Out; On Meaning; Great Plains Of Algiers; Process. 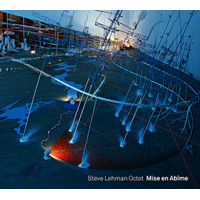 Personnel: Steve Lehman: alto saxophone; Jonathan Finlayson: trumpet; Chris Dingman: vibraphone; Drew Gress: bass; Tyshawn Sorey: drums.